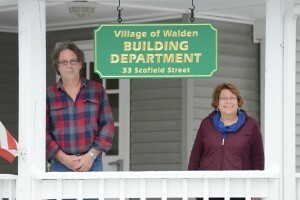 The Building Inspector is appointed by the Village Manager in consultation with the Board of Trustees. 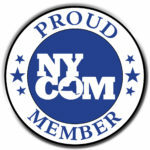 The Building Inspector possesses background experience related to building construction or fire prevention and also obtains such basic training, in-service training, advanced in-service training and other training as the State of New York shall require for Code enforcement personnel. He also has certification from the State Fire Administrator. The Building Inspector’s office is responsible for receiving, reviewing and approving or disapproving applications for building permits, certificates of occupancy/compliance, temporary certificates and operating permits and the plans, specifications and construction documents submitted with such applications. He also conducts construction inspections; inspections to be made prior to the issuance of certificates of occupancy/compliance, temporary certificates and operating permits; fire-safety and property maintenance inspections; inspections incidental to the investigation of complaints; and all other inspections required or permitted. He is authorized to issue stop-work orders; review and investigate complaints; maintain records; collect fees as set by the Board of Trustees; and to pursue administrative enforcement actions and proceedings. A Building permit is required for any work which must conform to the Uniform Code and/or the Energy Code, including but not limited to the construction, enlargement, alteration, improvement, removal, relocation or demolition of any building or structure or any portion thereof and the installation of a solid-fuel-burning heating appliance, chimney or flue in any dwelling unit. This includes home renovations, installation of fences, installation of storage sheds, roof replacements or repairs, and installation of swimming pools. No person shall commence any work for which a building permit is required without first having obtained a building permit from the Building Inspector. If you are unsure if a building permit is required, please call the office 845-778-2177 ext. 1505. Code Enforcement Officer is appointed by the Village Manager to investigate local code and ordinance violations. He issues notices of violations and/or summonses as required in accordance with Village rules and regulations, under the supervision of the Building Inspector. Many times you will see him patrolling the Village by foot or automobile and notes violations of local codes and ordinances such as litter, noise, peddling, dumping, garbage, snow and ice removal. He also investigates verbal and written, signed complaints referred by public or other agencies regarding violations of local codes and ordinances. He will correspond and/or meet with property owners regarding violations of local code, ordinances, laws and time allowed for correction/compliance. For questions about Village Code or ordinances please call the office 845-778-2177 ext. 1506.